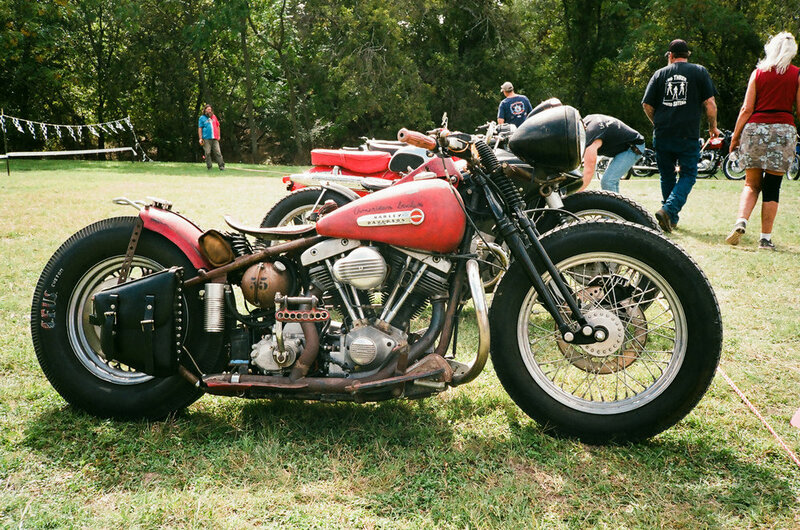 The Harvest Classic vintage motorcycle rally was held in Luckenbach, TX a couple of weeks back. As promised in my teaser post, I have some snaps from the show to share. 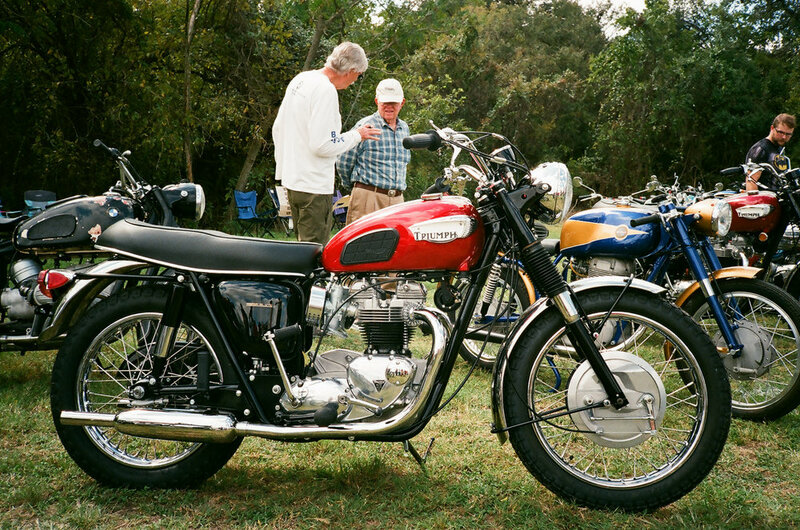 The Harvest Classic for me is as much about socializing with fellow enthusiasts and hanging out with friends as it is enjoying the machines and snapping photos. Since I met up with several buddies there I was a bit light on photos. 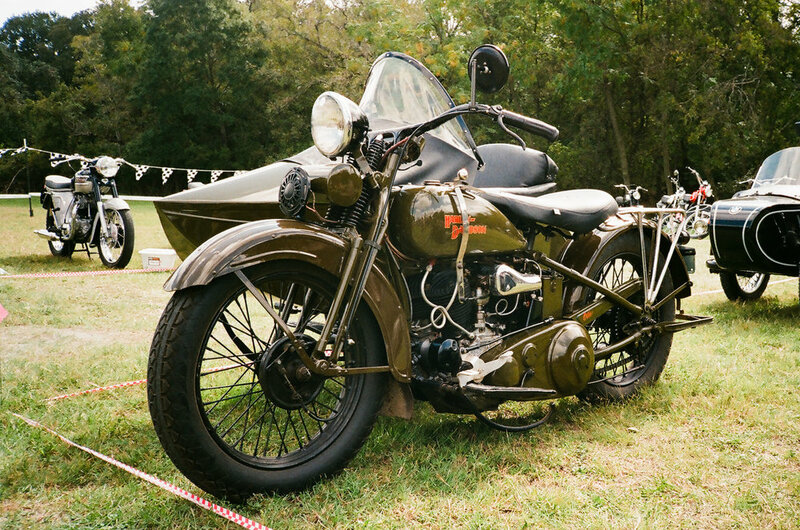 Shooting a single roll of color film was a way to capture some of the bikes while not neglecting good company. Those who are regular visitors to my blog know that I don't post a lot of color imagery these days. I tend to like working in black and white with my Fujifilm cameras and when I do shoot in color it's often with film. 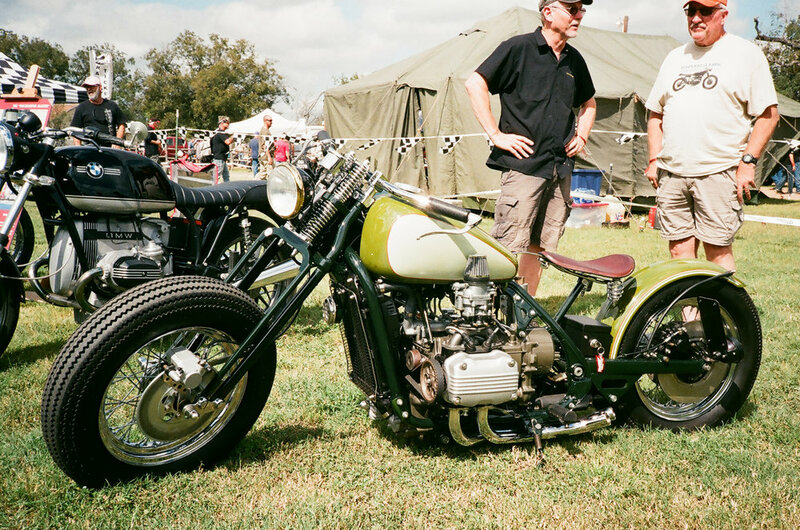 A vintage motorcycle show is a perfect place to do photography the old fashioned way. My Olympus XA2 point and shoot is a fine camera for this as it is small enough to fit in a small hip pouch, leaving me unencumbered with a camera bag for my ride to and from the rally. Its separate viewfinder makes composing a little tricky at the close distances but I do love its ability to get quick snaps without me thinking about exposure. That little black box may not be as sophisticated as my iPhone but I enjoy the shooting experience all the same. Here are a few of my favorites from the show. Keeping my shots to the 36-ish count on a roll of film makes me be more selective. It's kind of like pre-editing and while I don't have a lot of images to show for my afternoon, that isn't really a bad thing. My film lab does all the developing work and I have a neat collection of photos with minimal effort and I don't have to cull from hundreds of shots on a memory card. Check out more images from the show on my gallery site. All images taken with an Olympus XA2 35mm camera with Vista 200 C-41 film.